Camp Minnesota is a non-profit organization offering camps and outdoor ministry opportunities around the state of Minnesota. We provide a wide variety of summer camping events as well as year-round retreat, conference, and meeting spaces. Camp Minnesota is owned and operated by the Minnesota Annual Conference of the United Methodist Church. Camp provides an unparalleled experience for children and youth to learn teamwork, gain independence, try new things, and enjoy the outdoors. Camp Minnesota takes the camp experience one step further by allowing young people to develop a deeper relationship with God and see how God is at work in their lives and the world around them. Camper safety and health, and overall program quality are extremely important to us. 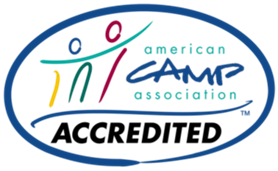 Camp Minnesota camps undergo a rigorous accreditation process through the American Camp Association (ACA) that helps us go above and beyond in our commitment to providing you with the best experience possible. Choose an ACA camp, you’ll be glad you did. Learn more.